Localisation is something we talk a lot about in the staff room and on the website. As we’re all fans of niche Japanese games, we’re often worried about whether or not that one game we want to play will make the leap across to the West. Unfortunately, not all games make it. We here at oprainfall have voted to decide which games we, as a whole, would like to see released in the West. I’ll be listing them all here, as well as what it is about them that makes them so coveted. I asked the staff to help me out with this for games I’m not as familiar with, so all of these are written by individuals who really want to play these games. I’m also enacting a series clause. I did not allow more than one game per series to make it into the final round of voting, so you don’t need to worry about doubling up. Also of note is that this is for the WEST, not just North America or Europe. If a game had been released in one region and not another, it was excluded. Finally, games with recent releases are also not on this list, as there’s a strong possibility they may still get released. It’s worth noting that while there is still a chance we may get the games on this list in some shape or form, at this point it’s looking unlikely. Now, without further ado, let’s get stuck into oprainfall’s list of top 10 games we’d like localised! 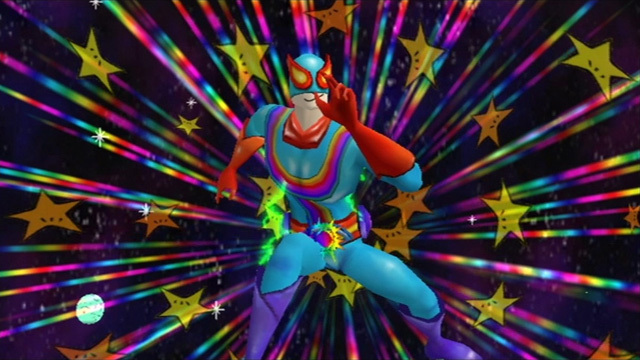 Captain Rainbow is an action-adventure game where you play as this tokusatsu hero named Captain Rainbow. He had his own TV show that was pretty popular back in the day. However, his popularity has dwindled significantly over the years. Desperate to restore his popularity, he travels to this place called Mimin Island, where wishes supposedly come true. So a lot of the game is spent helping out the inhabitants of the island. Now, Mimin Island is basically the Cartoon Wasteland of Nintendo; a place where forgotten Nintendo characters live. The most recognizable characters you’d find are Little Mac and Birdo. Everyone else are characters that have smaller roles in less well-known titles or characters from games that are completely unknown even to most Nintendo fans. I’m talking Hikari from Shin Onigashima levels of obscure. I suspect that this was the main reason Captain Rainbow was never released outside of Japan. Given how the game is made primarily for the hardest of hard-core Nintendo fans, I’d say that the best way to bring this internationally would be through Club Nintendo. Nintendo of Japan did this for Advance Wars: Days of Ruin, which was never given an official Japanese release. I think they can do the same thing here. All they’d need to do is just translate the text into English. This isn’t exactly the kind of game that needs to be dubbed, in my honest opinion. 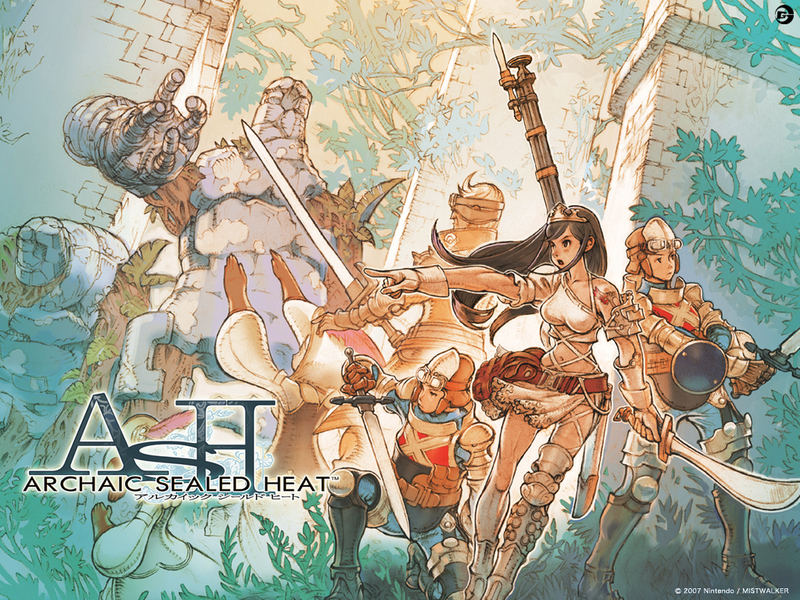 Archaic Sealed Heat was developed by MistWalker, who also created The Last Story. The game was released for the Nintendo DS in 2007. ASH is a text-heavy strategy RPG; our very own Will Whitehurst stated in his review that this game is not import-friendly in the slightest. It requires a very firm grasp of Japanese in order to be played properly. He cites a deeply complex story and the large number of menus that need to be navigated, which contain little to no symbols for the player’s convenience. It follows the story of Princess Aisya, whose kingdom is razed to the ground at the beginning of the game. She is the sole survivor, and finds herself in possession of a unique ability. Aisya is able to summon her old friends’ souls, which take their form from piles of ash. She can then talk to them as she used to, and have them aid her in combat. ASH is a turn-based tactical game. Characters are limited in their actions each turn by Action Points (AP). ASH adds its own spin to this system by making AP pools shared between three characters, as opposed to each character having their own. What’s more, these three characters attack together, further adding to the tactical experience. You see, if one character is far away from another that they share AP with, and they get into a battle, the character at range will use ranged attacks. So if they lack ranged attacks, there won’t be much they can do to help. On top of the unique battle system, ASH both looks and sounds amazing. It was the first DS game to utilise a 2GB cartridge, and it shows in the high quality of the cutscenes and the beauty of the music. I know this is a game I personally would love to play in my own language. 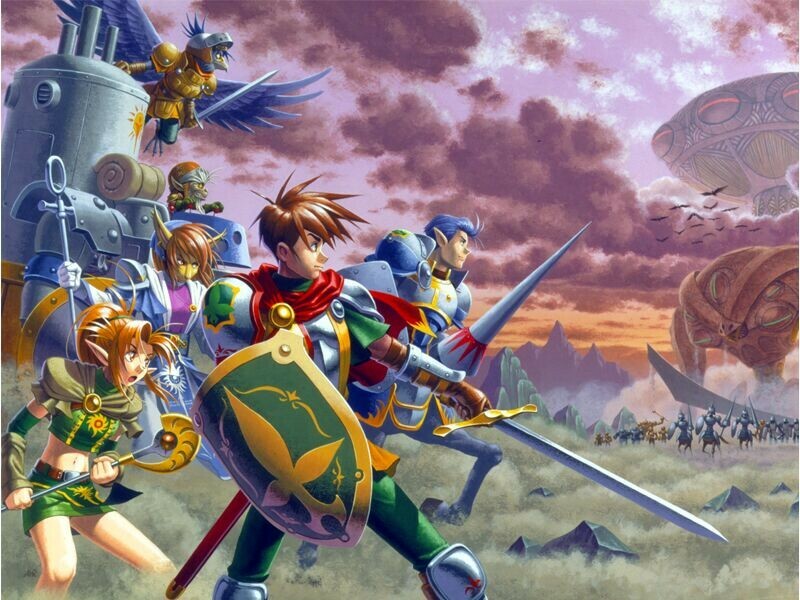 Shining Force III was a game for the Sega Saturn with three scenarios. Scenario I released in the West in 1998, but for reasons unknown, Scenarios II and III never made it here. They released in Japan in the same year we got Scenario I. All three scenarios are set within the same war, and their plots interact with each other a great deal. Tensions are high between the Republic of Aspinia and the Empire of Destonia, which Aspinia was once a part of. The two countries separated before the time in which Shining Force III is set, though there is still a deep sense of dislike harboured on both sides of the border, and small skirmishes are common. Full-scale war has broken out in Shining Force III, which is being manipulated behind the scenes by the Bulzome Sect. What’s interesting is that across the three scenarios, you get to play through all sides of the story. The first scenario, Synbios’ story, gives you the Republic’s perspective. The second story is from Prince Medion’s perspective, giving you the Empire’s side. The third scenario is based around a mercenary named Julian, who was in either army at one point or another before forming his own to take down the Bulzome Sect. Julian’s story starts close to the end of the one told by Synbios and Medion, and shows us the end of the conflict. The game plays a lot like the Fire Emblem series. You control characters on a grid-based map, and enter a separate battle screen when you make contact. There is a sword-axe-spear weapon triangle; pitting one with an advantage over the other will result in bonuses such as extra damage and an increased chance of landing a special move. What makes the lack of the latter two scenarios even more infuriating is that data from the first can be transferred to the next ones for in-game bonuses. This is further proof of how closely linked they all are, and how much fans of the game and of the series have missed out. Check out our next three games on the next page!